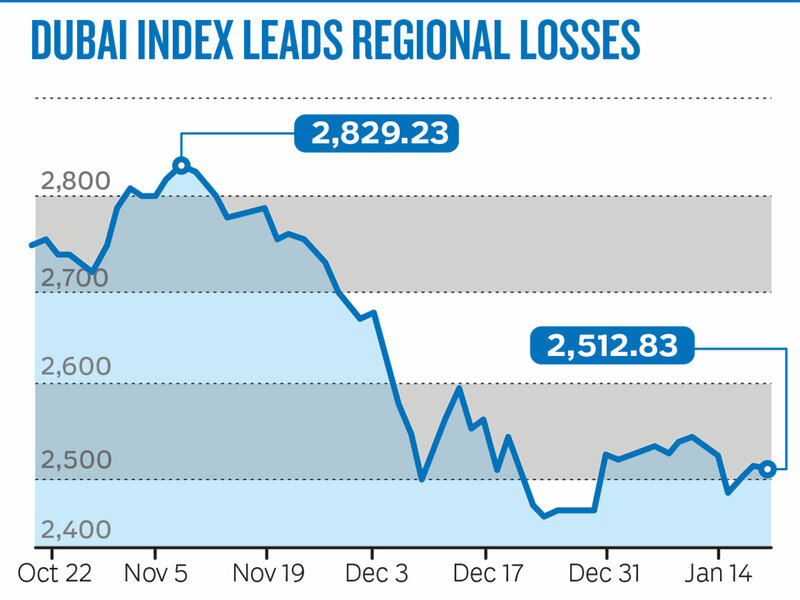 Dubai: The Dubai index may witness a turnaround in the third quarter of 2019, but current levels are not good enough to initiate a buy, analysts say. The Dubai Financial Market (DFM) general index has been one of the most oversold in the region, shedding a quarter of its value last year. The index has been flat in the first three weeks in January. “I’m bearish in the short-term; the Dubai index is trading in a low-risk area for traders as it is oversold. The index may form a new low below 2,500/2,417 by next month before going up,” Osama Al Ashry, a technical analyst based in Abu Dhabi, said. He expects the index to hit 2,720/3,025 by the third quarter. Most of the stocks had been beaten down due to excessive selling, amid pressure from calls for margin. Emaar Properties has shed 39 per cent over the past one year. “Margin calls have been triggered in stocks like Gulf Finance House, Emaar Properties, pushing them below fair value. I think they will fall more than 10 per cent, and they could be a good buy from there,” Al Ashry said. Emaar Properties, which has the highest weightage on the index, closed 0.50 per cent higher at Dh4.02. Emaar Properties may record a new low of Dh3.78 before going up to Dh5.80 in the third quarter by 2019, and GFH may rise to Dh1.37 by the end of third quarter, he said. Dubai Investments, which closed at Dh1.28 on Sunday, may go up to Dh1.57 in the third quarter. In the capital, the Abu Dhabi index may consolidate or even fall as it is in overbought zone. The Abu Dhabi index has gained 13 per cent in the last year, and has been extending gains into January. “The ADX index may hit a new high of 5,080 by next month. The index is considered overbought. Investors may hedge by selling Abu Dhabi stocks and buying others in Dubai,” Al Ashry said. However, traded volumes have been low. Saudi Arabia’s Tadawul index witnessed slight profit-taking after accumulating gains last week. 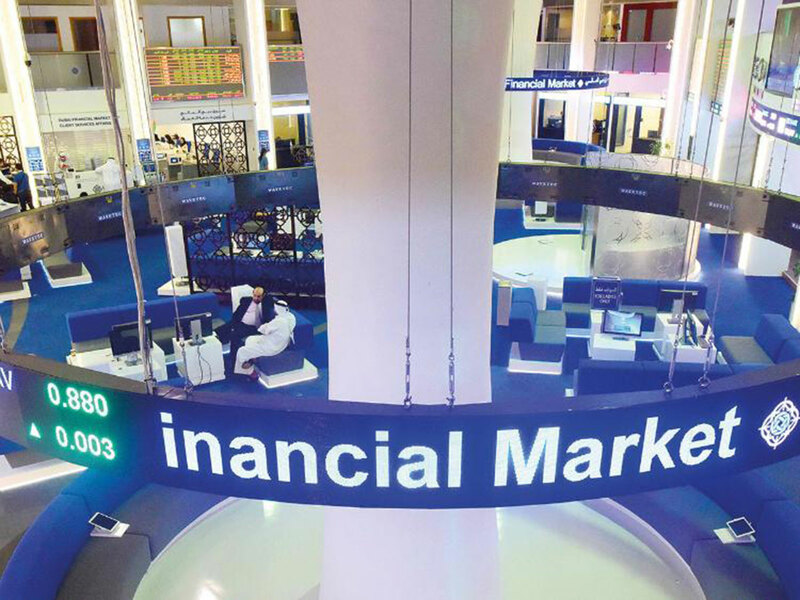 The Tadawul index closed 0.71 per cent lower at 8,387.91. The index has been displaying strong performance, making it the top regional gainer in 2018. The index gained 15.60 per cent in 2018. “Tadawul index is waiting new high of 8,527 in the next few weeks. The index may trade sideways between 8,250-8,530 in the next few months,” Al Ashry said. In stock specific ideas, “Saudi Cables Company may record new high of 47.3 before end of this month. Saudi Kayan may see a new high of 14.8 riyals this month,” Al Ashry said.